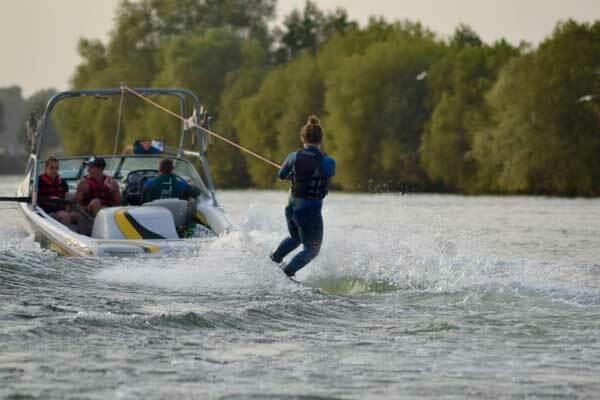 We have a lot of fun water activities here at Tallington Lakes, including wakeboarding and SUPing, and generally speaking – UK weather isn’t exactly the warmest, so I’m pretty grateful that Roxy has hooked me up with a Performance 3/2mm Chest Zip Full Wetsuit! I’ve worn this wetsuit on multiple occasions and it’s fantastic. I mean, it’s a little long for me, but that’s expected considering I’m only 5ft1… But apart from that, I really have no complaints! We often go out for staff wakeboard sessions in the evening and I try my best to go out for a play during my spare time as well, and I can honestly say I haven’t been cold since starting to wear this Roxy Wetsuit. The 3/2mm thickness is ideal for braving the colder waters, but might be a bit thick for me in the warmer summer months. Not only does it feel good on, it looks it. The cut and colours of this wetsuit are actually rather flattering and make me feel like a badass – not a Christmas ham, like I would normally feel in a wettie. We often go out for staff wakeboard sessions in the evening and I can honestly say I haven’t been cold since starting to wear this Roxy Wetsuit. Roxy continues to pioneer the world of women’s wetsuits; their designs are flattering and stylish without sacrificing any of the much needed technology giving you all the performance you want and need from a wetsuit. 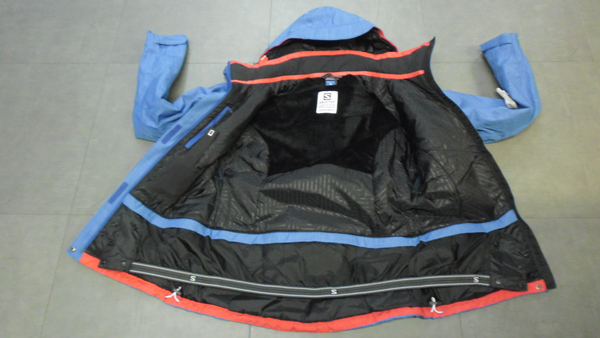 Initially the chest zip was a tad intimidating, but now I’m used to it, I think it’s better than a normal back zip, plus its free floating zipper technology is coated, with off-set teeth, to minimise water entry. Partner this up with Roxys seam technology, which features GBS stitching, Hydrolock Seam Seal and Redsealseam Technology you’ve got yourself a wetsuit with seams that reduce water entry and leaks using the thinnest, lightest and most flexible seal available. The F’N lite neoprene is made from limestone derivatives, and is packed with more air cells to increase warmth and decrease weight. In fact, F’N lite neoprene is 16% lighter than Hyperstretch 3.0 neoprene! The Termal Smoothie chest panel is a maximum stretch mesh with an open air structure to act as a wind and water repellent and give you intense heat insulation to keep you warm, even when the water is not. Finally, the Far Infrared Heat Technology thermal lining is Roxy’s warmest and fastest drying lining to date and it’s placed in critical areas to retain body heat meaning you can stay warmer, for longer! The cut and colours of this wetsuit are actually rather flattering and make me feel like a badass – not a Christmas ham, like I would normally feel in a wettie. Roxy pride themselves on being a brand that represents a new wave of fashion conscious and sport focused woman, and I certainly am a proud owner of the Roxy Performance 3/2mm Chest Zip Full Wetsuit. Not only do I feel confident wearing it, it’s super comfortable and keeps me warm meaning I can play for longer getting the most out of my time in and on the water! We’ve got the Performance Chest Zip Full Wetsuit in a thicker 4/3mm here at Tallington Lakes Pro Shop, as well as a range of other Roxy wetsuits to meet your needs! Ladies if you are thinking of a hoody or fleece, for when it gets a bit nippy this summer, why not have a look at a few Charlie has been trying on – it might help ! The Patagonia Re-Tool Snap-T fleece is ideal in a variety of ways. Firstly this fleece provides a thermal heat with it being 100% recycled polyester which creates a snugly feeling throughout the day, especially if the day is quite chilly! The fleece is also excellent for comfort, thanks to a soft short fur layer lining the inside and high neck. The large all in one pocket not only keeps your hands warm but can hold objects securely. There is also a small pocket on the chest of the fleece and branded badge. From personal experience trying on this fleece I found it had a slim fit but not tight on the arms. I tried a size up than usual which I found more comfortable because of the larger fit; especially wearing a shirt underneath. The women’s Picture Nesla is another groovy styled hoody. This has a large ‘Picture Organic Clothing’ print in the centre surrounded by a summer pattern; which stands out from the navy blue colour. The hoody has pink and white striped band around the bottom, which can be tightened. A large front pouch pocket which is ideal for keeping everyday items, or your hands warm. Extremely comfortable thanks to the 70% organic cotton. Thick hood which was well wrapped around the neck with a unique twist. This had a slim fit and it fit me perfectly in the correct size ; so no need to go an extra size up for a comfier fit. The Roxy Cruiser Night’s hoody is a popular fashion item. This is ideal for wearing in the summer season as a form of casual wear for evenings or daytime due to the thin lining made of 60% cotton which is perfect for the summer weather and chilly evenings. The inner layer has a soft layer of fur which maintains a bearable amount of heat. This also features a simple but potent design which gives off a summer feel and represents the Roxy brand on the centre of the hoody. A front pouch which I found was ideal for keeping everyday items in or useful for just heating up my hands. The Volcom In A Dayz hoody is a simple but trendsetting product however, different in a variety of ways compared to the previous hoodies. This has a zip which is perfect for matching with a shirt beneath which may contrast of the heather grey colour. I found this is easy to match with any day outfits as well as being a comfortable and thermal ideal for breezy weather, featuring two pockets ideal for warmth with the thick lining. The sizing was perfect as this wasn’t too tight or too baggy but had a stretched fit which was cosy to lounge in. Why not check out the rest of our women’s hoodies from these and other brands! I recently got myself a pair of the Roxy Relay Leggings and it’s safe to say I am in love. They almost look as good as they feel. The fabric, which is 78% Nylon and 22% Lycra, feels lovely, super lightweight, and breathable. The ones I have are an incredibly in your face bright pink, with what I like to call, black racing stripes and a cute tropical design on the calf. They really stand out. All the Roxy Relay Leggings come in beautiful bright colours and designs, and have reflective tape and a Roxy logo at the bottom of the lower leg. Even better, the colour won’t fade as they are made with Xtra Life Lycra fabric for excellent recovery and colour retention. The ones I have, Azalea Stripe (right) are an incredibly in your face bright pink, with what I like to call, black racing stripes and a cute tropical design on the calf. Psychedelic Dream Combo Tomato (left). Now, I’m not exactly the tallest person with being 5’1” and I usually really struggle with trouser legs being far too long and bunching up around my ankles. Yes, these leggings do bunch around my ankles, but nothing major like most do. Yet, there is enough length that I can say with confidence these would be great on taller girls too. The fold-over waistband is high enough that you can comfortably exercise without indecently exposing yourself, or have to worry about continuously pulling them up because the waistband also includes Roxy Jacquard Elastic on the inside, and an adjustable tie on the outside to ensure a glove-like fit. The fabric is thin enough to be quick drying and breathable, yet I wasn’t concerned about them thinning out and being see-through when climbing and abseiling on the climbing tower we have here at Tallington Lakes, which again saved me from embarrassment. The soft flatlock seams didn’t make me uncomfortable while climbing and hanging in some usually uncomfortable positions which was a huge bonus. All in all, these leggings are amazing, comfortable, and cute while being incredibly functional. I never thought I would so highly recommend active wear but Roxy have really done well with the Relay Leggings! At Tallington Lakes Pro Shop we sell the Roxy Relay Leggings in Psychedelic Dream, and I recommend you buy them before I do because they are amazing! 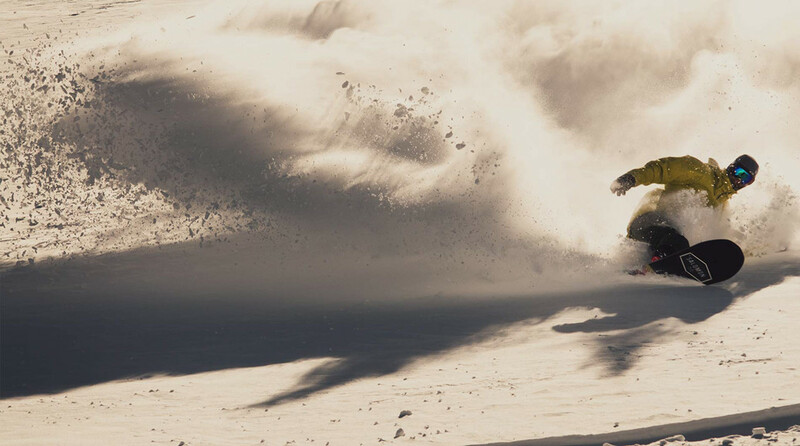 Here’s our expert guide to this seasons best snow jackets and pants; for men and women. Gone are the days of just 10K/10K jackets, today Picture have produced this awesome technical jacket with a rating of 20K/15K allowing defence against anything that the mountain may throw at you. What I love about the Dayton is the ability to add in a mid layer and connect it via a zip turning it into one continuous item and best of all is extremely warm perfect for those of you that feel the cold much more! Generally I would pick a tailored fitting jacket despite the Dayton being a freestyle orientated fit it still felt great with the medium being the ideal size for me allowing more layers if needed. The material feels extremely hard wearing only time would tell how well it stands up to the rigours of riding through trees etc but my initial thought is it will be great, not only that but Picture have incorporated recycled polyester into the shell material giving you piece of mind that the lack of snow at the start of the season isn’t down to you. What I love about the Dayton is the ability to add in a mid layer! This is the ultimate addition to the Dayton Jacket in combination these Book pants look awesome! Unlike any other snow pant these come equipped with its own powder skirt that is extremely stretchy, fitting my waist perfectly just giving an extra layer of protection against the powder. The inside has a super soft fleece liner that feels great and I found help wick some moisture away from my legs perfect for a long days riding. What I didn’t like was there were no reinforced cuffs to guard against sharp ski edges but if snowboarding this wouldn’t be a problem. As with fit I wasn’t a big fan of the baggy look but if you are after a freestyle look these would be perfect. 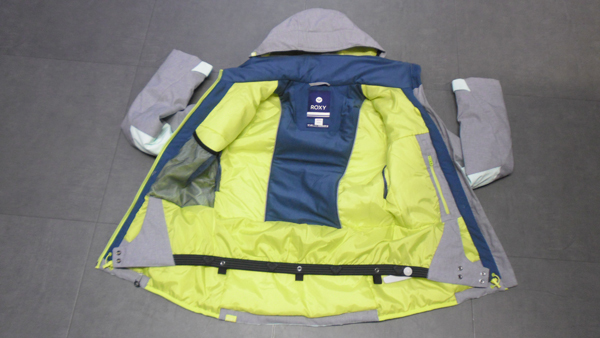 First off Helly Hansen have really progressed their technology and design with this jacket, personally it is my favourite mid ranged jacket we sell not only is the price great but it has the tech to match with its 15K/15K waterproof and breathability ratings! Unlike others with the same ratings the Progress Jacket has a soft stretchy outer fabric which adds another dimension to this already awesome jacket. Although not tested up in the mountains the added Primaloft makes this a very warm jacket in temperatures around 0 degrees with enough room for added mid/base layers for colder conditions. My only negatives with this jacket are that the zips aren’t taped only a real issue in extreme heavy rain and there are no wrist gaiters which would allow snow to get into the jacket sleeve when riding through deep powder. The Progress Jacket has a soft stretchy outer fabric! This is the perfect addition to the Progress Jacket, if I hadn’t already got a complete set up I would definitely get this pant after trying it on and the integrated tech it has! What I like about this Legendary Pant is 3 keys points; reinforced cuffs which perfect for skiers like myself helping to prevent unwanted cuts, 2 way stretch Helly performance fabric gives excellent levels of protection against the elements and finally the tapered fit around the knees helping minimise the bulky look you sometimes get with snow pants. I forgot to mention the additional internal clip that helps stop the traditional single button from popping open when you sit down or are riding hard which has happened to me many times in the past. My only real concern with these pants is the small thigh vents which could cause you to get too hot during the warmer spring months. First off trying on this jacket it felt slightly baggy around the shoulders but a good fit around the waist despite this it was extremely comfortable and felt really warm in the zero degree conditions we tested it through. What was unusual with this Sassy jacket was the contrast between the textured grey material and the smooth yellow giving this an edge in the looks department. 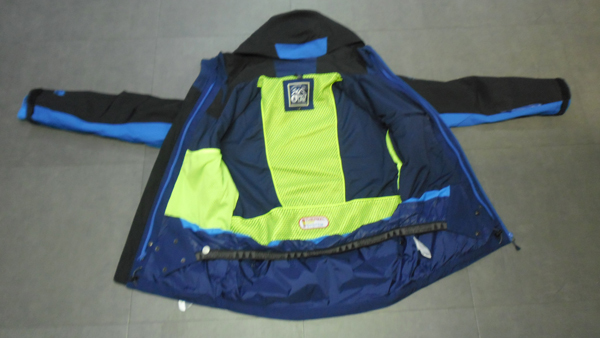 For the brief time wearing this jacket we are confident it will meet and excel your expectations up in the mountains the only two negatives to consider are the button on hood rather than a zipped one and also no thumb hole in the wrist gaiter which can ride up when putting on gloves. Overall a great piece for the 2016 winter season with 10K/10K waterproof and breathability rating. The Sassy jacket it felt slightly baggy around the shoulders but a good fit around the waist! Heading away on the winter break of a lifetime? After testing this pant we think this is the one for you! Overall the pant felt amazing easily providing comfort for a whole days skiing or snowboarding. The velcro adjustable waist gave me the ability to fine tune the fit whether I had layers underneath or not it coped well. When riding hard I have had previous pants pop open but I found the triple button/clip closure was bulletproof with the added ability to expand the cuffs to accommodate my ski boot with ease. A nice feature was the lift able cuffs helping to reduce the risk of getting covered in dirt when walking across car parks or roads. The only real negatives were the rear velcro pockets which could pick up snow and also this colour could show dirt fairly easy. Overall a great pant. What an amazing jacket certainly covering all my desires and fantasy’s I would want from a ski jacket whilst up in the mountains! First off trying this jacket on sends me into another world the fit is perfect and also comes with a fleece lined back which is both soft and provides excellent levels of warmth. On those snowy days the fully adjustable hood will be perfect giving an extra level of protection. Having this on for just a few minutes raised my body temp but no problem as it has large under arm vents which cooled me down in a matter of minutes. My only real negative is the tech specs are slightly low to what I’m use to but still perfectly adequate, with 10K/10K waterproof and breathability rating, and the wrist gaiter doesn’t come with a thumb hole which slides up when putting gloves on. Certainly covering all my desires and fantasy’s I would want from a ski jacket whilst up in the mountains! Shell pants are great but don’t offer the insulation many people want, whereas this Fantasy pant is fully insulated tested outside around 0 degrees these pants were extremely warm and felt great due to the soft internal fleece lining. The external twill material is extremely hard wearing standing up to branches and sharp ski edges with the reinforced cuffs. With this pant there isn’t an expandable cuff but not a big issue due to being quite wide anyway but when it comes to spring or those warmer blue bird days there is no mesh venting to help cool you down so requires removing layers. Overall this is a great pant at a good price! 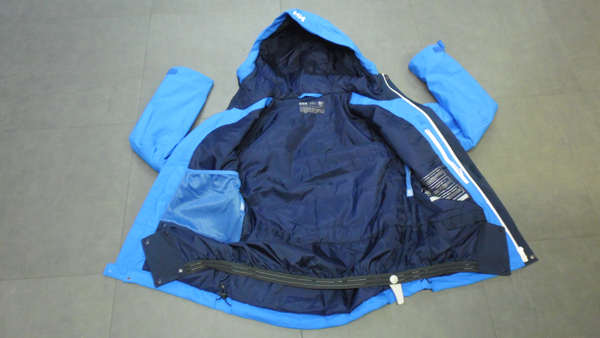 To see our full range of technical snow jackets, please click here, and for snow pants click here.